FFI MCI / FFI THCI / APGAI / AAPGAI / STANIC Qualified Fly Casting Lessons and Fly Fishing Instruction and Guiding in North Devon and Somerset. Bryan is a Fly Fishers International Master Certified Instructor (FFI MCI) and Two Handed Certified Instructor (FFI THCI). Bryan is also a member of the Game Angling Instructors Association (APGAI - Salmon, Trout and Sea Trout), a member of the Association of Advanced Professional Game Angling Instructors (AAPGAI Trout and Sea Trout), has the Salmon and Trout Association National Instructors Certificate (STANIC - Salmon, Trout and Fly Dressing) and is a licensed game angling coach (L2CCA/UKCC) providing qualified fly casting tuition and fly fishing for brown trout, sea trout and salmon on our north Devon rivers, rainbow trout on a choice of stillwaters and bass on the north Devon coast. 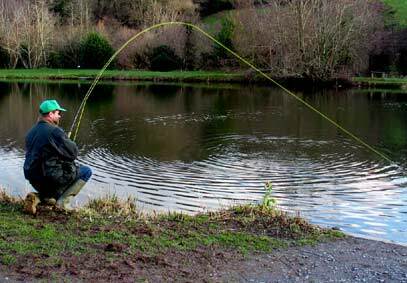 Fly fishing tuition from a qualified instructor is the ideal way to learn how to fly fish. A fly fishing lesson or course will provide the information and teach the skills necessary for a complete beginner to be able to confidently fly fish and make further progress. A lesson is also an efficient way for a more experienced fly fisher to improve and develop his skills and knowledge. Tuition can be a half day lesson, ideal as a 'taster' to introduce a complete beginner to fly fishing. A half day session is also ideal for the more experienced fly fisherman to improve or learn more advanced casting and fly fishing techniques. Catching fish is also on the menu. We also offer fly fishing courses which can be between one and five days duration depending upon content. Where local accommodation is required, we can provide contact information. If staying locally, we will provide transport to and from the fishery at no additional cost. We will discuss your requirements with you and adjust our instruction content to best suit your needs. All tackle will be provided if required, you only need to turn up at the chosen venue with suitable clothing, ideally to include boots, hat and of course sunglasses or other eye protection for safety. After a tuition session, a beginner will have sufficient knowledge to progress further and the more experienced will have improved their fly fishing techniques. You will be advised on how to build on what you have learnt to further improve and develop your fly casting and fly fishing capabilities. We will always be happy to give further advice by email or phone. 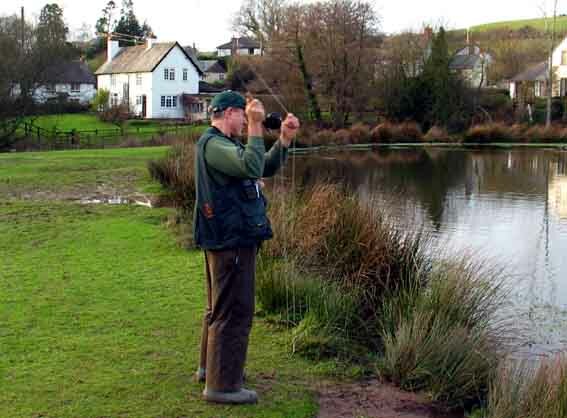 Bryan Martin has fly fished for Salmon, Trout and Sea Trout in the UK, Ireland and Canada for over 40 years. He is a Fly Fishers International Master Certified Instructor (FFI MCI) and Two Handed Certified Instructor (FFI THCI). Bryan is also a member of the Game Angling Instructors Association (APGAI - Salmon, Trout and Sea Trout), a member of the Association of Advanced Professional Game Angling Instructors (AAPGAI Trout and Sea Trout), has the Salmon and Trout Association National Instructors Certificate (STANIC - Salmon, Trout and Fly Dressing) and is a licensed game angling coach (L2CCA/UKCC).